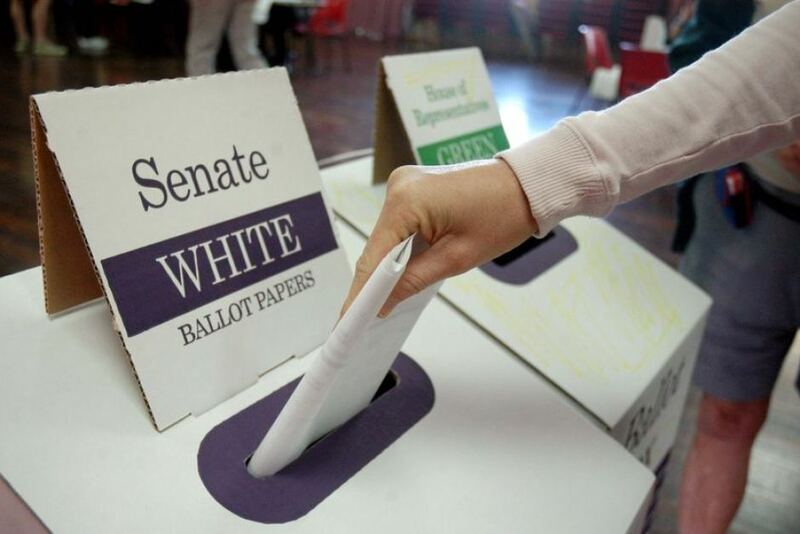 Home » Australian Politics » Should the vote of young people be worth more? Should the vote of young people be worth more? The rationale behind such an idea being that younger people have much more at stake and they have to live with the decisions of governments for longer. Therefore, their vote should be a priority. While there is an obvious logic behind Moraro’s proposal, it risks relegating citizens over 60 to second class citizens whose opinion matters less due to nothing more than their age. When it is stripped down to its essence, it is yet another example of ageism, and an extraordinary display of youthful arrogance. In exactly the time when we need to be debating how best to support the elderly population to be continued active participants in society, Moraro’s proposal seeks to undermine them. The over-55 demographic is already sidelined in the jobs market by the shifting and unpredictable nature of the modern workforce. A person who loses their job in their late 40s usually finds it more difficult to find further employment. National Age Discrimination Commissioner, Susan Ryan, found earlier this year that while Australians aged over 55 account for a quarter of our population, they only account for 16 percent of the workforce. Yet their number is growing. “The number of over 65s will double by 2055 when life expectancy will be well over 90,” she said. The social, cultural and economic changes of the past decade have caused the most disruption to people over 50. Younger generations have been able to adapt and shift faster, yet for workers forced to retrain or even face redundancy due to changing technology, change has been difficult and confronting. How then, as a society, do we respond? It would be entirely unfair to essentially slap them in the face and entrench the idea that their vote is worth less. It is incorrect to assume that older generations do not feel the impact of decisions any more than young Australians do. Moraro claims that younger generations are concerned with “job insecurity”, yet he mistakenly thinks that this does not apply to the most vulnerable generation forced to compete for jobs with fresh and eager minded Millennials. Superannuation was one of the key policy areas of contention this election, and in the wake of the Global Financial Crisis, it’s not younger generations feeling anxiety over their retirement funds. Status arguments aside, the real-world policy consequences would also be dangerous. Governments of both persuasions have been accused of neglecting the elderly in their budgets. In an environment where younger voters’ say is worth more, it is not difficult to predict where politicians will direct their attention. The most vulnerable group in the community will be taken for granted and have a second-rate avenue to air their grievances. Some might argue that this is exactly the point. We want politicians to focus on issues that impact younger generations. This rests on the assumption that younger people are already sidelined from the political process, to which I would argue that they are not. It also overlooks the fact that one group has paid taxes and contributed to society their entire lives, only to be told that their opinions don’t hold the same value as that of an 18 year old. A significant percentage of Generation Y and Millennials are not sidelined from the political process. Rather, they are apathetic, choosing not to engage, preferring to draw an extra box to elect Jon Snow rather than cast a legitimate vote. Many don’t value the political process until they hold real world responsibilities such as a mortgage, a full time career, and children. In fact, many young people enjoy a hedonistic lifestyle of part time work, study, and travel while living at home with their parents, the very people Moraro seeks to partly disenfranchise. I also suspect that proposals such as Moraro’s is motivated not by a sense of social justice, but by a desire to relegate conservative opinions that they do not like. This again smacks of youthful arrogance, and one can’t help but be moved by Winston Churchill’s famous maxim: “if you are not a liberal at twenty you have no heart, if you’re not a conservative at forty, you have no brain.” Life experience teaches hard lessons, and as a society, we need to look past our youthful idealism and remember that. 4 Comments on Should the vote of young people be worth more? And it’s all in the attitude displayed in this post that their is any credence to the idea. We see consistently from older people in positions of any form of power and/or influence, views with total disregard for anyone but themselves and those close to them, based around their INDIVIDUAL life experience. Rarely do we see unbiased logic for either side and even rarer it seems is forthought for thw future. Cool, you are 60+, worked for your life, raised family and looking to retire for you time and naturally, you wish to be well off in your last years. Why does that give you a right to oppose change that may hurt you but will make things better for future generations? Why is it all banter, charts and numbers in discussion and seemingly no action, hell even wide spread disbelief in global warming despite evidence contrary to disbelief? Why do we always see ads for the poverty stricken in 3rd world countries where as a global community things could be fixed quite easily? It seems at the end of the day talks of helping fellow human beings is just that, talk. Personally have very little faith in humanity though, with good reason looking at history and whats happened globally since my conception. And yet I still put everyone elses wellbeing, stranger or not before my own. As a species, we simply seem intent on our own self inflicted suffering and demise. Greed and corruption definately flourish well in this worlds social/political/economic backdrop. This is Piero Moraro, the author of the smh article. I have read your comment with interest, and appreciated how you have articulated your point – so far, very few have tried to engage with my view, and have rather preferred to simply insult me and question my academic credentials. Allow me to clarify three things. First, my argument is about fairness, not results. I am not arguing That plural voting would lead to better policies: quite the contrary, it may well be That younger voters will stuff it up quite badly. What I am claiming is that a process that gives everyone the same power to influence a decision, ignoring that some people will be more affected than others, is not fair. I agree with you that political elections might not be the right context to introduce plural voting -mainly because they occur every three years- but with referenda, which bring long lasting changes in the constitutional make up of a country, giving the same vote to people, regardless of age, is not fair. What do we do then? Probably nothing, we will stick to this system, because it is easier. But easy does not mean fair. It is nonetheless important to remind ourselves of why we deem democracy so precious, namely (as I say in the article) that it protects everyone’s right to have a fair go in life. What we have now, at least in some cases, does not do that, and it is the job of of an academic to highlight issues in our societies. Also, please note I am not advancing any “lefty” policy, and certainly no socialism. If young voters think that the rich should pay less taxes, that social security should be cut etc., they should vote for that. Equally, I did not claim that young people should have voted for Remain. Just to repeat, I am not telling people who or what to vote for. Finally, I meet young people everyday, as part of my job at university. May I suggest you avoid generalising about lazy and spoiled kids who enjoy a “hedonistic life”. What I see every day is young people who have to work 40hrs a week, during the teaching term, and can barely pay for uni fees and ever-increasing rents. So, once again you’re correct: let’s not be ageist. Thank you for your comment, Piero. While I do not agree with your point of view, I appreciate the time you took to read my ideas and respond to them.